We started off talking in our last post about the importance of an “aggressive, comprehensive, systematic plan for discipleship” before discussing the differences between therapy and discipleship. Don’t be spontaneous when it comes to discipleship. This is not only the advice given by D. Michael Henderson, one of my favorite disciplers, it’s also spot on biblical. Regarding the subject of conversations, in one of my classes a student objected to what he considered regimentation of discussions. Lots of people want to talk, and they do. They drone on and on about whatever strikes their fancy. But self-centered conversations don’t accomplish much. If we want to serve God first, others second, and ourselves last, we need to shape the direction of our discourse. What sets the agenda in discipleship, according to Jesus? Personal doubts or religious questions do not. That’s how Jesus rolls, and that’s discipleship. That’s not an unusual exception. That’s the core of Jesus’ discipleship strategy! The method Jesus taught us is simple: help our friends follow Him. Encourage them to put into practice all He taught us about the kingdom of God. Jesus built His instructional system on the basis of His own personal friendships. He chose men to be His followers who were not only His friends but also already friends, relatives, and neighbors of each other. They were bound together by ties of familiarity, blood relationships, and hearty companionship—and most of them worked together every day. Think about that. Jesus called as his disciples people from among his neighbors in Galilee. He did not seek out the super-spiritual. He simply shared with those who were already around him. “Yes, but Pastor Foley, no one around me is jumping up and down for Jesus. Clearly no one in my sphere of influence wants to be discipled.” And James and John and Peter were super-spiritual Jesus-jumpers before Jesus recruited them by going aboard their boats? Don’t discount that God has already given you a bumper crop of people to disciple. In Jesus’ view, there is not a shortage of people interested in being discipled. Or therapists. Or even tables by the window at Starbucks. There’s a shortage of disciplers. Do you think most discipleship efforts tend towards being spontaneous? 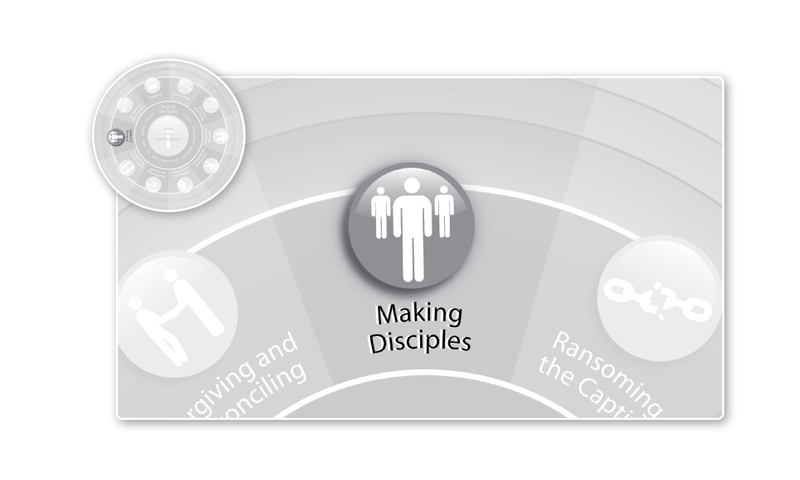 What elements might need to be put in place to avoid “spontaneous discipleship”? This entry was posted in Uncategorized and tagged Christianity, Discipleship, Jesus, Whole Life Offering. Bookmark the permalink. Good to hear from you, Carley. There’s definitely quite a difference between discipleship and evangelism, that’s for sure. Our failure to recognize this gives us churches filled with people who have never truly met Christ, alongside believers who have come to know Christ but who aren’t being comprehensively discipled, as if being fully conformed to his image by the power of the Holy Spirit was some kind of supererogatory experience reserved for a dedicated few rather than the normative process of Christian growth.